By: Dr. Anagha Karkhanis – Senior Gynaecologist and Infertility Specialist and Director of Cocoon Fertility. In women, the menstrual cycle of around 28 days is under hormonal control. The growth and release of eggs from the ovaries i.e. ovulation and preparation of the lining of the womb for the fertilized egg to implant are all monitored by the hormones. The lining of the womb sheds resulting in menstruation when a pregnancy does not occur. Follicle stimulating hormone (FSH) – It controls the growth and maturation of an egg in the ovary. As the no. of eggs are at the verge of finishing, the FSH levels start rising. A patient with a poor ovarian reserve will have high FSH levels resulting in poor response to ovarian stimulation. Luteinising hormone (LH) – It causes the release of an egg once it is matured and stimulates the production of testosterone by the testes in men. LH level varies depending on the time of the cycle and can help in monitoring the IVF cycle. Progesterone – When it implants, it supports and maintains the lining of the womb and the pregnancy. Ovarian stimulation protocols affect the progesterone balance. Hence, all IVF cycles during the implantation and early pregnancy are supported with progesterone supplementation. Progesterone relaxes the uterine muscle and modulates the immune response, thus favoring the embryo implantation and early growth. It is an extremely vital medication for pregnancy support. Any imbalance in the above-mentioned hormones hampers the chances of a healthy pregnancy. 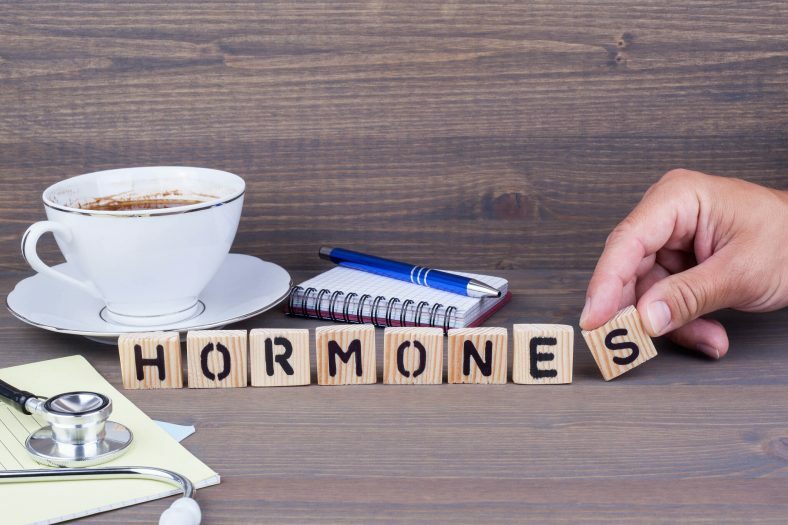 Fertility treatments aim at optimizing and regulating the effects of these hormones. Several factors control the success of fertility treatments and reproductive hormones are one of the chief aspects. Anti-Mullerian hormone (AMH) – Produced by the ovarian follicles, it is a marker for ovarian reserve and can help in predicting the response to fertility medications. When the ovaries are within the normal range, they respond more effectively and more eggs are retrieved thus increasing the chances of success. When AMH is low, it indicates poor ovarian reserve. For e.g. in the case of premature ovarian ageing, both the quality and quantity of eggs obtained after stimulation is poor. Women with higher AMH have the risk of Ovarian Hyperstimulation Syndrome. TSH (Thyroid Stimulating Hormone) – Thyroid hormones are a vital regulator of all metabolic activities of the body. They fine-tune ovarian and uterine functions through their interactions with other fertility hormones. TSH is a marker of thyroid activity. Irregular functioning of the thyroid gland increases the risk of infertility, miscarriage, premature births, ovarian cysts, mental and developmental disorders in the baby. All the above-mentioned hormones are checked during a routine fertility workup.